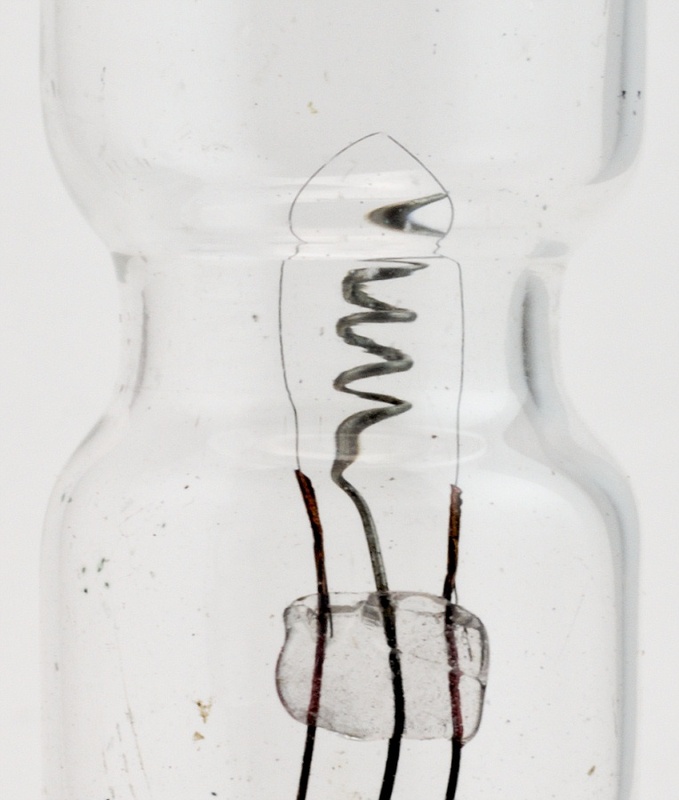 Introduced in 1923, this “gridless triode” was an attempt to bypass the DeForest grid patent by positioning the control electrode outside the glass envelope of the tube. Some tubes were marked as the “Welsh Relay Radion”. The Welsh tube came with a length of wire that was wrapped around a narrow part of the tube. Inside the tube was a filament and a “plate” electrode, which was just a piece of wire bent into a helix. 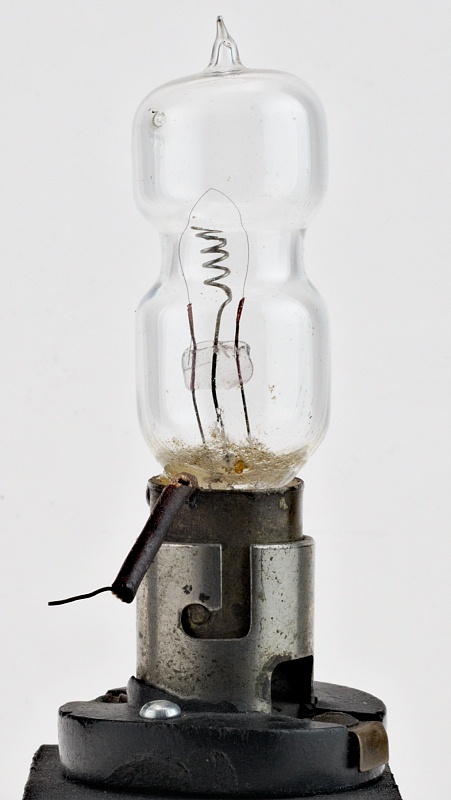 The tube was sold primarily as a replacement for a standard crystal detector (galena crystal and cat's whisker) and was supposed to offer improved performance. It was probably more stable, and required less adjustment, but the sensitivity was probably not much different.